Apple's HomePod received its first substantial update since launch yesterday, at last bringing the delayed AirPlay 2 and stereo pairing features to the public. It also came with a nice surprise in the form of Calendar support, the only new Siri domain added to the device thus far. Full details on AirPlay 2 are included in my iOS 11.4 overview, so be sure to check that out if you haven't already. In this article I'd like to focus on my hands-on experiences with HomePod specifically. Before testing it out, I had a few concerns about exactly how the feature would work in certain scenarios, but those worries have all been put to rest now. One dilemma I expected to run into is that I have two AirPlay 2-compatible speakers – HomePod and Apple TV – both in my living room and in the master bedroom. And inside the AirPlay picker UI, devices are named only by their room, so I wondered if Siri would need extra specificity from me when I gave commands – meaning, I couldn't just say a room, I'd also need to specify a device. For example, I expected that asking Siri to play something "in the bedroom" might result in needing to answer a follow-up question about whether I meant the bedroom HomePod or the bedroom Apple TV, but instead, the HomePod seems to receive preferential treatment – as it should. The other concern I had was that voice-controlling AirPlay 2 speakers might be limited to iOS devices' Siri, rather than being available with HomePod's Siri as well. To some people, that kind of concern may seem ungrounded – it'd be pretty crazy for HomePod to be left out there – but sadly, Siri's current limitations on HomePod have kept my expectations low. So I was pleasantly surprised to discover that Siri on HomePod can perform any and all commands related to other AirPlay 2 speakers. In fact, the Apple TV can do the same: on any AirPlay 2 speaker containing Siri, you can use Apple's assistant to control playback on all your other compatible speakers. I haven't run into a single mishap with AirPlay 2 yet. The feature may have taken a while to arrive, but in my limited experience so far it's performed exactly as I had hoped. From what I've heard, I'm not alone in this either. First impressions of multi-room audio with Siri and 2 HomePods: genuinely impressed. All worked instantly. These aren’t groundbreaking commands, but I’m happy they worked right away. Regarding apps, Apple Music and Podcasts have both been updated in iOS 11.4 with full AirPlay 2 compatibility, so you won't have to deal with the grating 2-second delay when pausing or resuming playback, and you get the benefit of extended buffering. Out of third-party audio apps I've tested so far1, Pocket Casts is the only one that's already AirPlay 2-ready, at least in part: if you turn off advanced audio features, you get the AirPlay 2 benefits, while keeping them on causes it to revert to AirPlay 1. 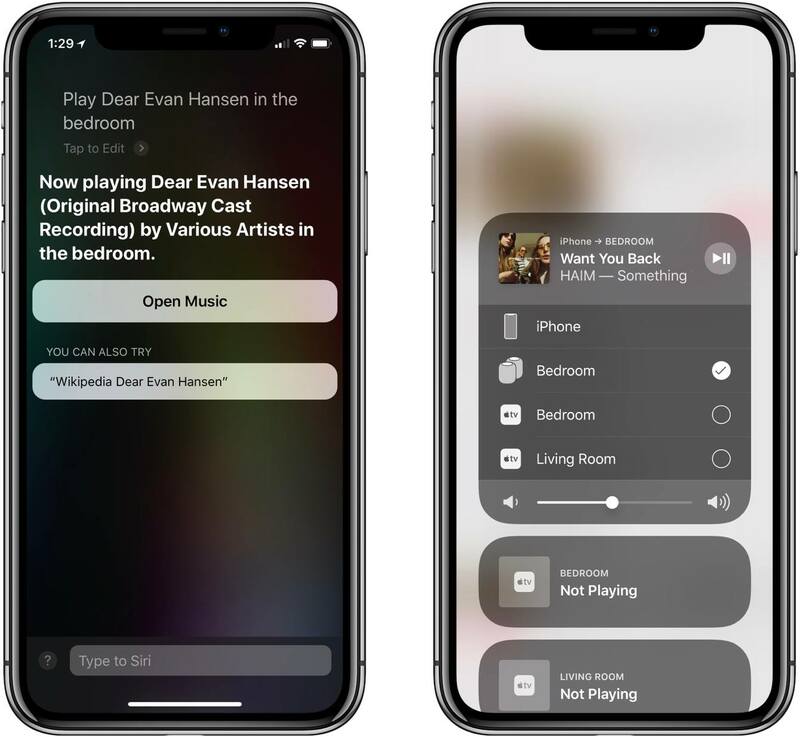 Hopefully now that the feature is no larger banished to delay oblivion, third-party apps will quickly adopt the necessary APIs to take advantage of AirPlay 2's benefits. I purchased two HomePods at launch, not for the sake of stereo pairing, but because I wanted one in each of my main living spaces. However, having two on hand means I've been able to give stereo pairing a try. The setup process for pairing two HomePods is extremely simple and straightforward. Inside the Home app's details screen for one of your HomePods, hit the 'Create Stereo Pair' option, then select the HomePod you're pairing with, after which the final step is to specify which HomePod is on the right and which is on the left. Tapping the on-screen HomePods during this step will cause each device to make a sound, so you're sure you've chosen the right ones. Two HomePods in stereo perform like I expected them to: they sound like a single HomePod, but bigger and better. I'm no audio expert, and can only say that it sounds nice to my ears. 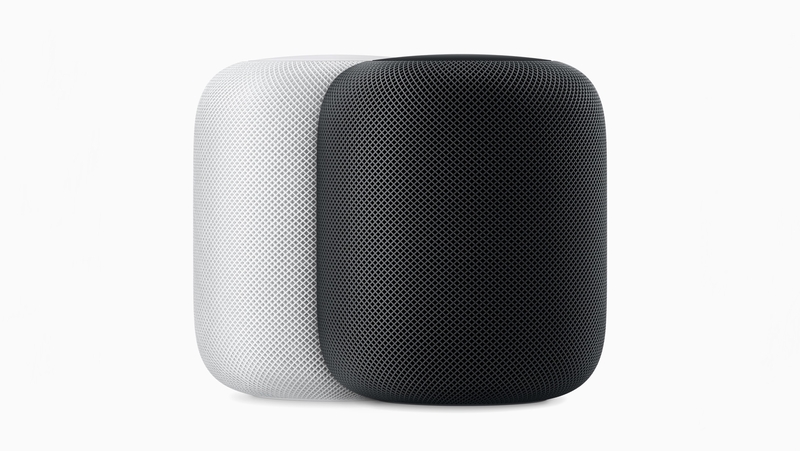 The market for stereo-paired HomePods may be small, but for those select few target users, Apple has done a solid job making the pairing process simple and seamless. One of the most mentioned oversights of HomePod's launch capabilities (besides no multiple timers) was Calendar support. Fortunately, we didn't have to wait long for that to be remedied: HomePod now fully supports Apple's Calendar app. I'm happy to report that the new domain isn't limited only to iCloud-based calendars, as I feared it might be: instead, Siri on HomePod can tell you about any and all of your calendar events, no matter which service they come from – as long as they're set up on your paired iOS device, HomePod can access them. When it comes to creating events, HomePod can do that for whichever calendar is set as your default in the iOS Settings app. Calendar integration has been added as part of HomePod's Personal Requests feature, wherein Notes, Reminders, Messages, and now Calendar data can be accessed and modified when HomePod's paired iOS device is on the same Wi-Fi network. So if you're away from home, other members of the household won't be able to ask questions regarding your calendar. HomePod 11.4 is no small update for Apple's newest device category. Though AirPlay 2 and stereo pairing were supposed to arrive at launch, they still make for a substantial upgrade for HomePod owners. Calendar support being added in a point update is an encouraging sign too of Apple's commitment to the product. That commitment may or may not be evident next week at WWDC, but for this week at least, it's nice to see HomePod benefit from continued development.